Dubai: Along with 45 million blooming flowers at Dubai Miracle Garden, visitors will soon be able to capture the beauty of thousands of butterflies during their visit to the park. Currently under construction, the first butterfly garden in the region will be located in Dubai’s Miracle Garden near Arabian Ranches. “The tentative date of opening is after 30 to 45 days, and work is currently under process. 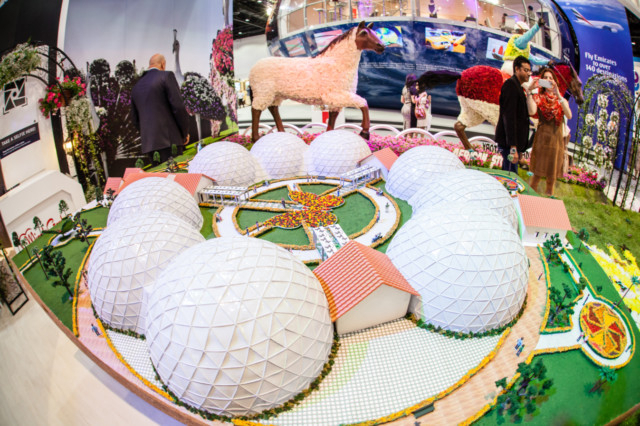 Ticket prices are not defined yet,” Engineer Abdul Nasser Rahhal, Managing Director of AKAR Landscaping Services and Agriculture and General Manager of Miracle Garden and the Butterfly Garden, told Gulf News. Covering 4,000 square metres, the round-shaped butterfly garden will consist of nine custom-built domes and a butterfly museum. Each dome will be in a different colour, and will be home to 24 types of butterflies from several tropical countries. 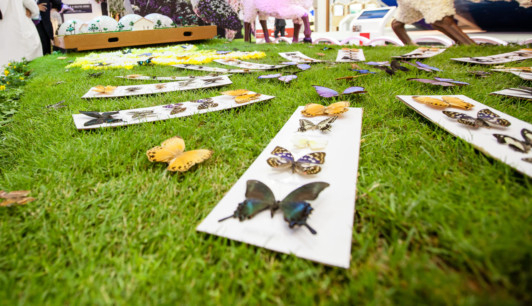 “The butterflies will be of different colours, shapes and sizes and will fly over a range of flowers and plants and around visitors,” said Rahhal. Rahhal pointed out that the new project will be the biggest covered butterfly garden in the world. He explained that nectar plants, which are butterfly food plants, will be planted in different colours inside each dome to attract and maintain the butterfly population. Some of the most popular nectar plants used in butterfly gardens include butterfly bush and butterfly weed. 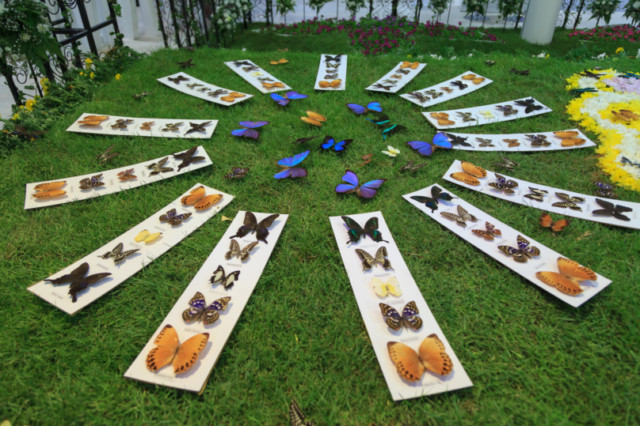 “Visitors may witness the actual butterfly life cycle and gain insight into their miraculous metamorphosis. It is an experience that will enable visitors to recognise and appreciate the butterfly in all its growth stages,” explained Rahhal. While the growth cycle of a butterfly depends on the variety of flowers and the climatic conditions, it may vary between one and three weeks. 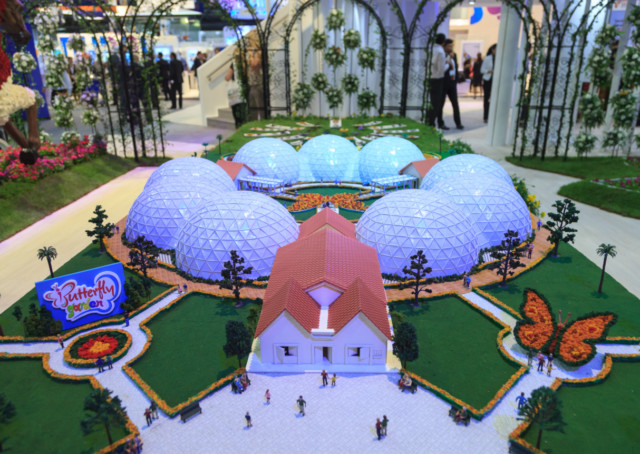 A butterfly-shaped flower park will also be located in the centre of the nine domes. The butterfly flower park will showcase 3D flower designs and a variety of colourful flowers while following the garden’s butterfly theme. Three fish ponds will also feature different sizes of koi fish in 10 colours, where visitors will be able to feed the fish by hand. “The garden will also include a butterfly museum which will display thousands of butterfly species and insects from around the world,” he said. The new project will include a small coffee shop and gift shop where visitors can pick souvenirs from a large collection of butterfly structures.